Kuala Lumpur was our second to last place we stopped on our whirlwind Asia trip. I can't tell you how comforting it was to stay in at the Lanson Place Bukit Ceylon Serviced Residences. When you've been living out of a suitcase for a few weeks already, having a great place to stay like this is key. I think the biggest draw of staying in a time share is that you get more of homey feeling rather than just staying in a box of a hotel room. At the Lanson Place Bukit Ceylon Serviced Residences you get the comfort of staying in a residence, but you don’t have to pay thousands of dollars like you would with a time share. It’s a win, win in my book. These serviced residences are just the place you should stay the next time you’re in Kuala Lumpur. The absolute best part about staying at the Lanson Place Bukit Ceylon Serviced Residences is that you don’t just get to stay in a tiny hotel room, you get your own fully functional apartment. It’s really a nice thing when you’ve been traveling for a while. Lanson Place establishes a home base for you to kick back and relax. Do your laundry, cook something fresh (in the full kitchen with an oven, regular sized refrigerator, stove and all cookware) or enjoy the full living room where you aren’t sitting right next to your bed. Each apartment has a giant kitchen with a large island, living room, bedroom(s), bathroom and washer and dryer. Every person I encountered here was not only extremely helpful but also very kind. That’s something I always notice - kindness. It really goes a long way especially in the service industry. Everyone from the front desk, the management, the security guards and even the lounge attendants were very pleasant. Let me just say that getting around Kuala Lumpur was not the easiest. Not sure if it was because it was raining and people don’t seem to drive well in the rain, but traffic was heavy and I’m from LA! That being said, Lanson Place Bukit Ceylon Serviced Residences are well located in Kuala Lumpur. It is not far from the KL Tower, Chinatown and the Central Market. You can also easily get to the Petronas Twin Towers with an Uber, just account for some drive time. Kuala Lumpur is a little far from the airport. Generally you should give yourself 1.5 hours to drive to the airport, however, in a freak of nature situation, it took us almost 3 hours to get to the airport just barely making our flight! 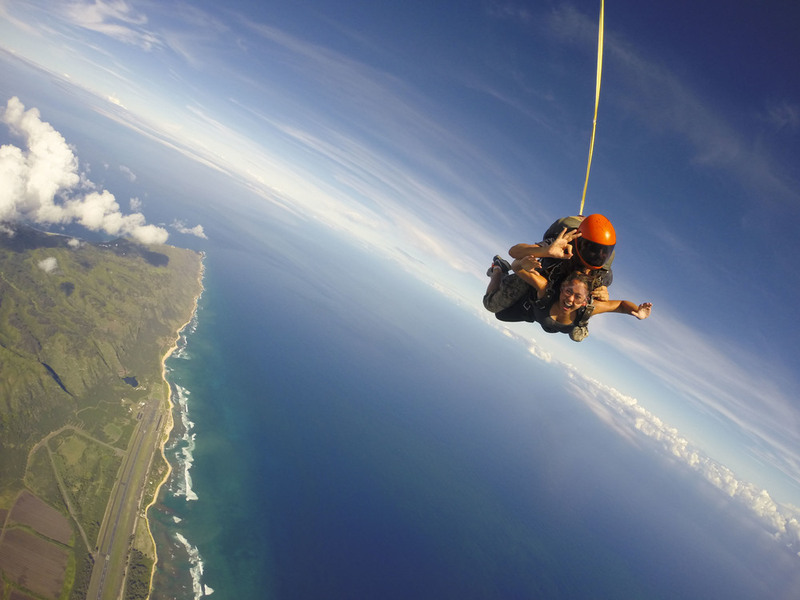 As with anywhere you are, be sure to give yourself enough time to arrive! The only thing that might be better than staying in spacious apartments is getting the perks of a hotel, as well! Enjoy a delicious, complimentary buffet breakfast each morning of everything from eggs and bacon to lox, a large pastry assortment and a gourmet cheese platter. 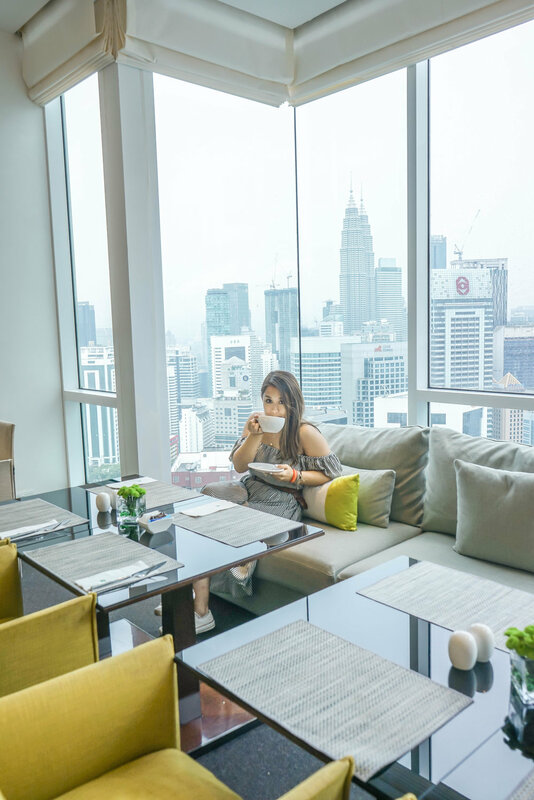 You’ll feel like you’re staying in the lap of luxury while dining 50 floors up with views of both the KL Tower and Petronas Twin Towers. You also have access to an olympic-sized swimming pool, 2 floors of exclusive residents only lounge areas, fully equipped gym, iMac stations, a billiards table, rooftop barbecues and complimentary cookies in the lounge in the afternoon. Check out the Lanson Place Bukit Ceylon Serviced Residences, here. *Sponsored Post: My hotel stay was provided in collaboration with Lanson Place Bukit Ceylon Serviced Residences! All opinions are my own.